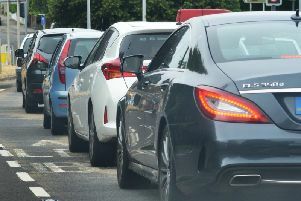 Delays have been reported on the M25 anticlockwise after an earlier vehicle fire between junction eight and junction seven. One of the lanes is still reportedly closed for recovery work. Common Lane, in Ditchling, is closed from Beacon Road, Ditchling, to Hurstwood Lane, in Wivelsfield, according to traffic reports. Due to planned work Southern and Thameslink train services are not serving London Bridge today, tickets are instead being accepted by London Underground between Victoria and London Bridge and between London Bridge and Canada Water.